A total of 28 Nelson and Colne College students achieved three or more A*or A grades in the 2017 A Level exams – a record number. Following the College’s stellar A Level results, which saw a 99.7% pass rate, students from the Class of 2017 who achieved three or more A* or A grades are progressing on to some of the most prestigious Russell Group universities – the best in the country – including Cambridge, Leeds, Liverpool, Manchester, Nottingham and Warwick. Many of those 28 students achieved top grades in the core English, Maths and Science based subjects, however, many are also from across the spectrum of 30 subjects the College offers such as Business, Computer Science, History, French, Geology, Government and Politics, Graphic Design, Law, Photography, Psychology, Religious Studies and Sociology. Oliver, 18, said: “I put a lot of hard work into my exams. I knew I had to achieve good grades to get to where I wanted to be and I’m really pleased that all that hard work has paid off. “I particularly enjoyed completing my EPQ as that allowed me to go into so many different areas of Physics and I’m really looking forward to university as I find Physics so interesting. I would like to go into research in the future or maybe into finance. 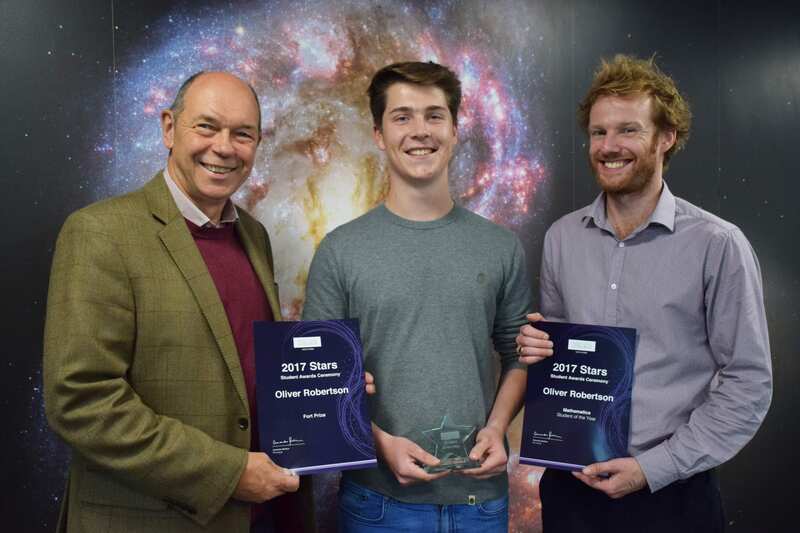 Oliver’s efforts saw him win the College’s prestigious Robert Fort Prize, and Robert Fort, whose uncle the prize is named after, said: “The Robert Fort Prize celebrates outstanding achievement and it is something I am really proud of. “The progress Oliver made after arriving from secondary school through to leaving Nelson and Colne College with his A Levels makes him a deserving winner of the prize. Nelson and Colne College’s Vice Principal Paul Britton said: “To have 28 of our students, or 10% of our A Level cohort, achieving three or more A* or A grades is a remarkable result. Congratulations to all of our students who managed to achieve this. Other highlights from Nelson and Colne College’s A Level results include 26 subjects achieving outstanding 100% pass rate. 87% of students achieved A*-C grades – an increase of 8% on last year, and 79% of students achieved sought after A*-B grades. The next Year 11 Open Events held at NCC will take place on Monday 9th October and on Monday 13th November, both between 5.30pm and 7.30pm. There will also be a dedicated Apprenticeship Open Event held at College on Monday 23rd October from 5.30pm until 7.30pm.